But I am fascinated by marketing, language and messaging. 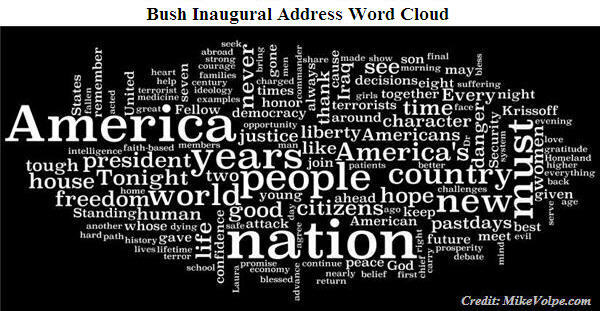 So, after getting an idea from an article by David Meerman Scott, I took the text from the Bush and Obama inauguration speeches and made word clouds. What is noticeable to me is the lack of significant difference. What do you see? Leave a comment.